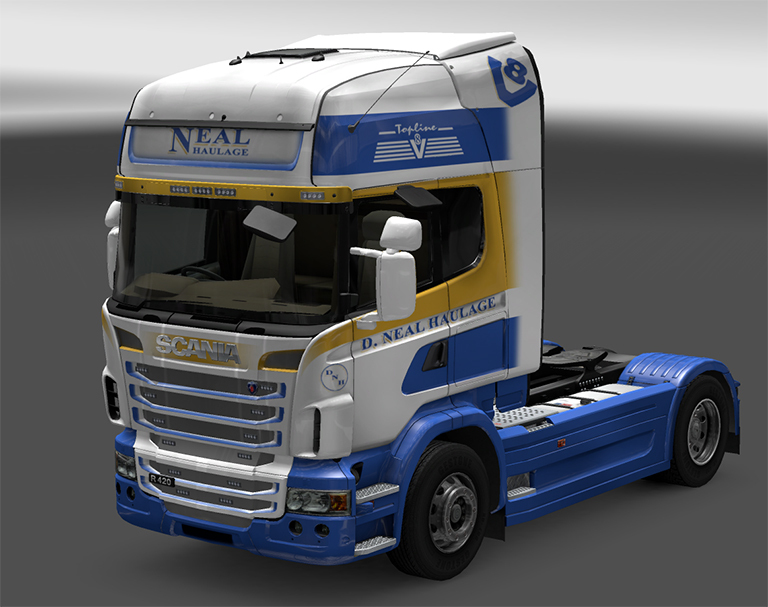 Added a D. Neal Haulage Ltd skin for the Scania. The new Volvo has two variations, the FH & FH16. The Volvo FH has a black grill and is available for engines with 540HP or less. The Volvo FH16 has the chrome grill and is available with engines of 540HP and upwards. This mod allows you to chose between the black or chrome grills for all engine power. The FH/FH16 badge will be shown correctly for which ever colour you choose. Engines with the letter “B” at the end are the alternate versions, without a “B” are the stock SCS versions. As with the FH16 the globetrotter and black wheel arches can’t be painted with out affecting all Volvos in the game, so I left them alone. 2pm BST – UPDATE: I’ve made some improvements to the skin. The little bit of red on the doors above the lights has been removed as it over ran a little bit. Corrected the left side so the green S’s are the right way around and made the white/silver reflective S on the sides a little bit more visible. 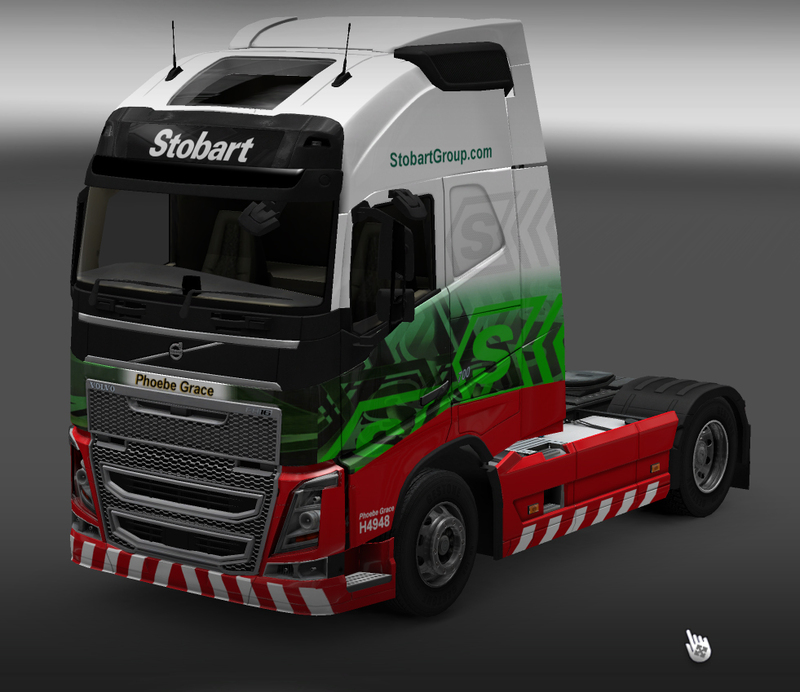 3pm BST – UPDATE: I have also updated the skins for the Stobart Scania & the StobartRail Scania to fix the left hand side S logos.